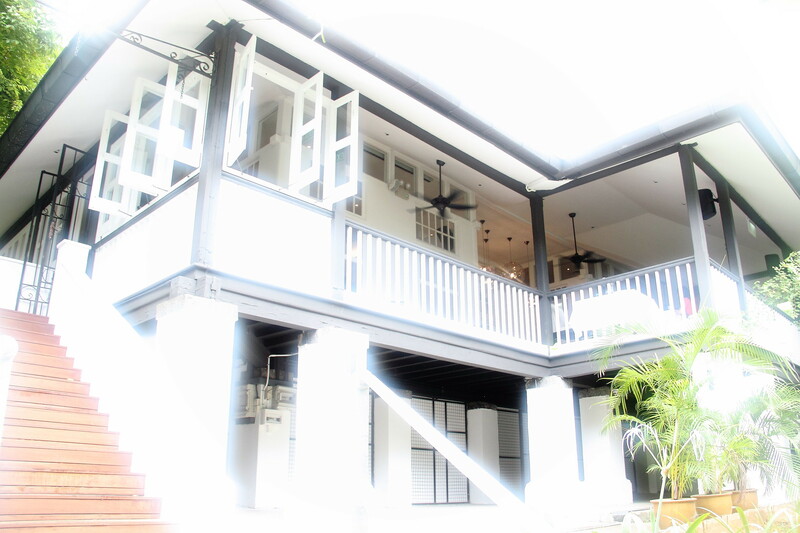 Nestled amidst the lush greenery of Fort Canning is Lewin Terrace, a Japanese-French fusion restaurant which is housed in a gorgeous colonial-style bungalow. Helmed by a talented team of culinary professionals which includes Director Mr. Kosuke Shima and Chef de Cuisine Hiroyuki Shinkai, Lewin Terrace rolls out a luxurious 7-course dinner menu with beautifully-crafted Japanese-French fusion dishes to present flavours of Japanese Spring. Amidst the tranquil environment of Lewin Terrace, the dining experience is further heightened with Jazz Nights at Lewin Terrace, bringing guests the best of both worlds. 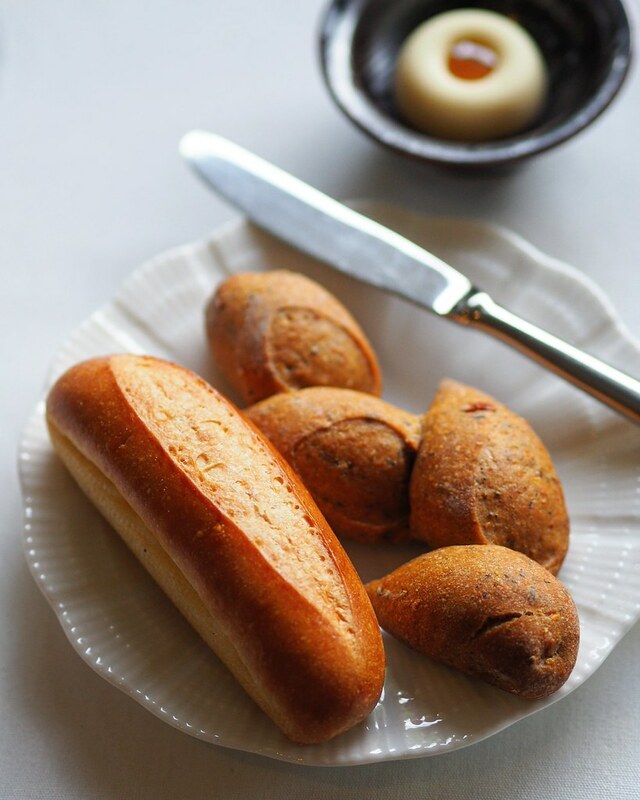 To kickstart the sumptuous dinner, some fluffy freshly-baked bread were served with generous lashings of creamy yuzu butter. WIth a fine balance of the subtle tangy yuzu and sweet flavour of the spread, the bread & butter served is a simple yet well-thought starter. 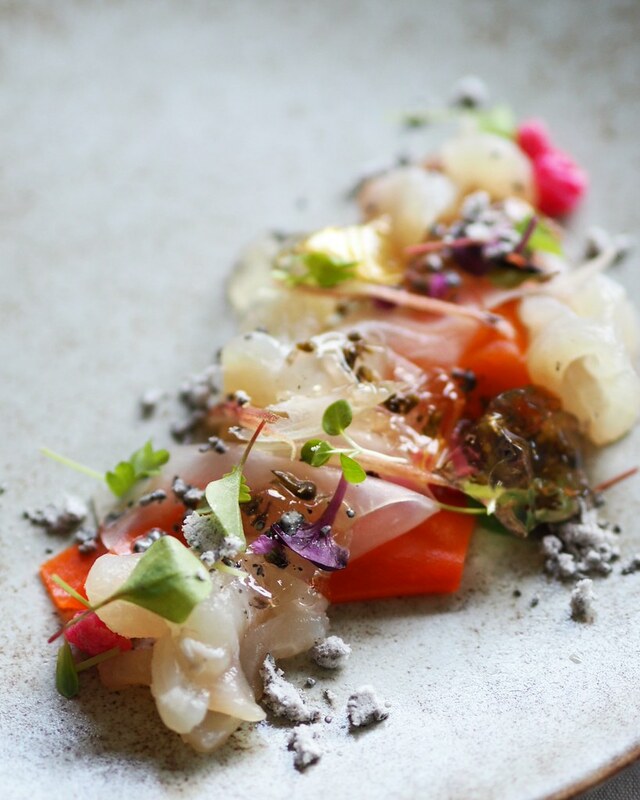 The first course was an appetizer of Seabream Carpaccio that comes beautifully plated akin to a vibrant garden on a plate with sakura peel, dashi jelly, and "Amazu" marinated carrot. The latter ingredients lent a refreshing tangy flavour and a crunchy texture to the softer and more tender seabream, playing out a harmony of flavours and textures with a presentation that is also pleasing to the eyes. The second course was an appetizer of Foie Gras Confit with Fig Chutney and Spice Bread at the side. 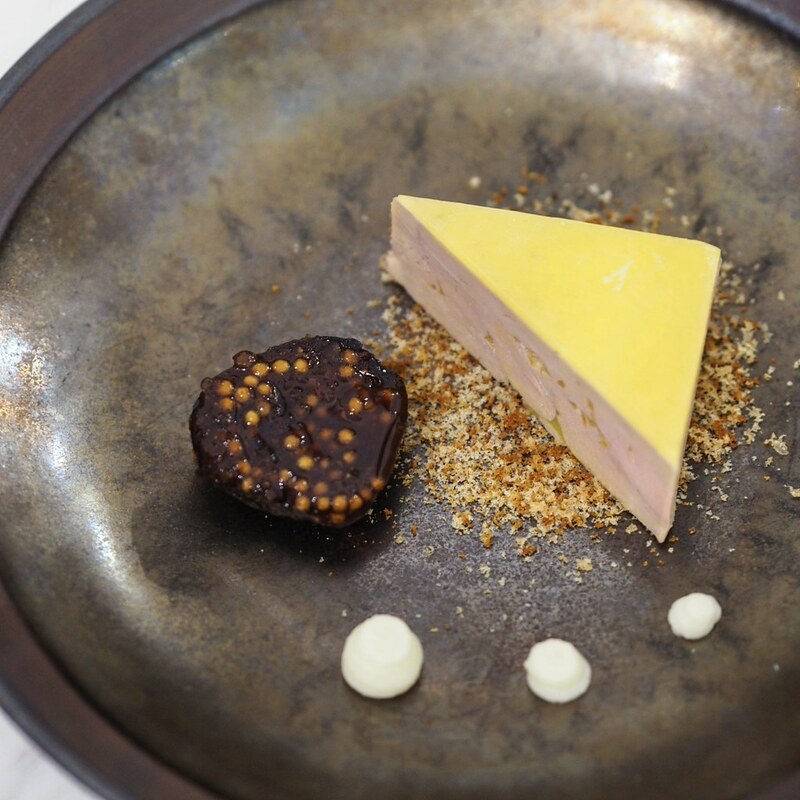 The fig chutney helps to balance the rich and creamy foie gras confit, while the spice bread adds a stronger flavour with lingering edging notes of the sharp spice fragrance that just cuts through the dish. Le Poisson features lobster meat with mushrooms, risoni, topped with lobster white wine sauce and coconut foam. 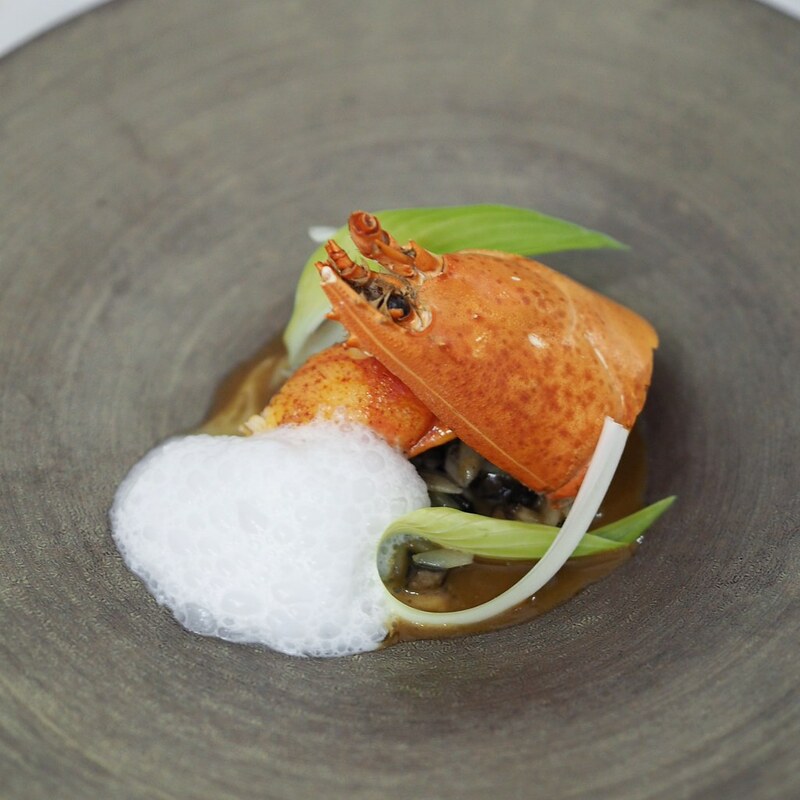 The lobster meat is buttery and succulent, while the white wine sauce adds a subtle sweetness to the savoury components of the dish with a coconut fragrance from the coconut foam. 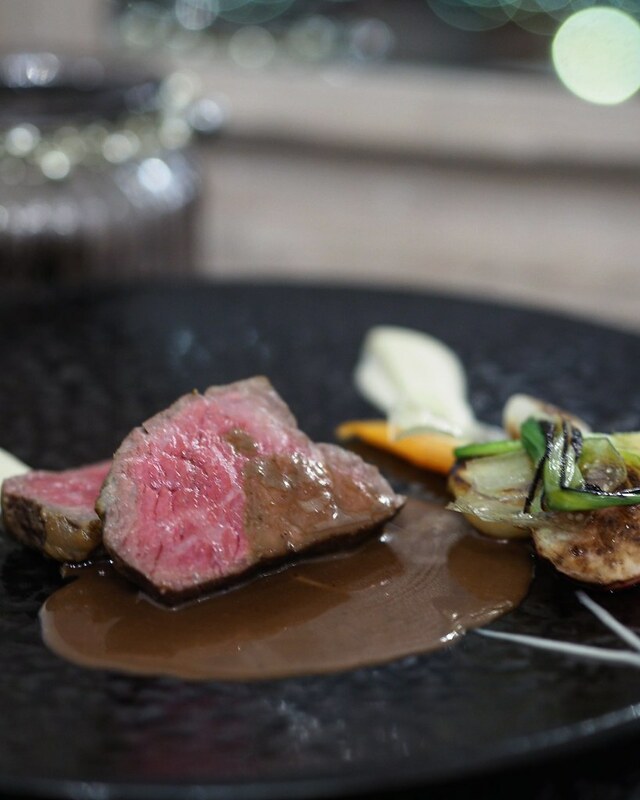 The star highlight would be the Le Viande which features smoked Japanese wagyu with seasonal Japanese vegetables, pomegranate puree and red wine cream sauce. While the well-seasoned smoked wagyu meat boasts an extremely succulent texture, the red wine cream sauce elevates its taste with another dimension of flavour, as it adds a delicate sweetness to the meat. It is complemented by seasonal vegetable at the sides for a favourable crunch to the dish. For desserts, we had the Matcha Parfait which that comes in intricate strips of matcha ice cream, 'Warabi" Mochi, Chocolate crumble and drizzled with hot chocolate sauce. 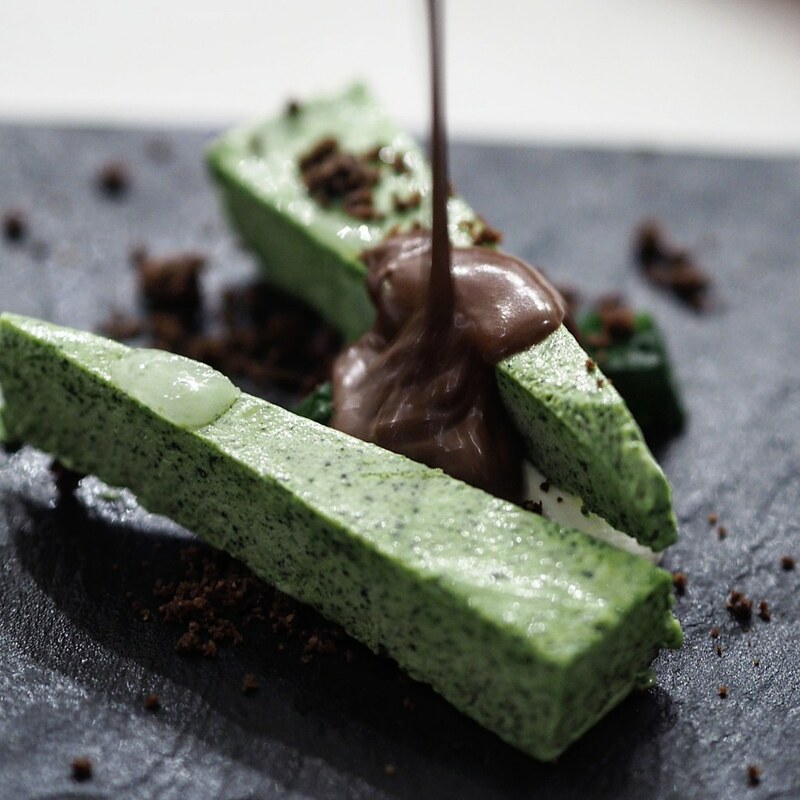 While the matcha ice cream has an authentic bitter sweetness, the chocolate sauce has a more bitter taste to it, which helps balance the overall flavour of the dish. Together with the chewy warabi mochi and crunchy chocolate crumble, all the elements simply come together to form a well-balanced sweet ending to a wonderful meal. The mouthwatering dishes from the Spring Menu were executed brilliantly, with every aspects of the dishes in line with the theme of Spring and entwining flawlessly with one another, perfect to indulge in on a nights out. The ambience at Lewin Terrace is also fantastic for a date, celebration of special occasions and private events. With Jazz nights that happen fortnightly on certain days of the month, it is truly a dining experience like no other.